Seeking the flavours of yesteryear. 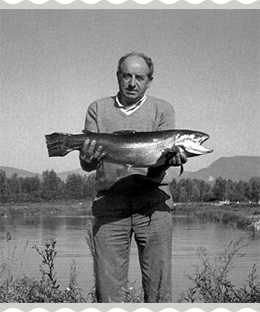 Giuseppe Pighin established our company in 1970. 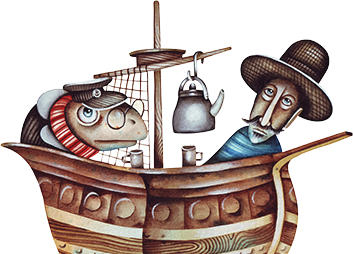 He had always had a passion for fishing and good things. That little lake started just as a hobby yet slowly and with great enthusiasm and dedication it became our trade. 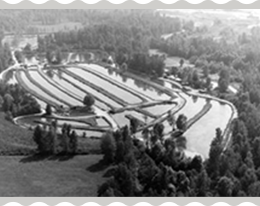 The little lake became a fish farm like no other because our primary objective was to produce really good, special trout, raised by us using unconventional procedures to guarantee its quality and wholesomeness. We preserved the original environmental conditions so as to achieve maximum quality: lots of running water; very low population density; natural, non-forced integrated feed that produces firm, flavour-packed flesh; natural growth times. This allowed us to recreate a natural habitat where rainbow trout grow to weigh as much as 8-10kg in 7-8 years! Then, as a response to market demand, we decided to do more than just farming the fish by making packaged, ready-to-eat products. After studying traditional processing methods we launched Regina di San Daniele, our smoked rainbow trout, followed by a whole range of fish products. All our specialities are not just ready to eat and versatile to use, they stand out for the delicious flavour and wholesomeness which makes them so light and it is also why our company – which started as a much-loved hobby – now leads the market.